What Food To Buy In Iceland besides Lakkris? Iceland, known as “The Land of Fire and Ice”, has some of the largest glaciers in Europe and some of the world’s most active volcanoes. Due to it’s geographical locations, it is also known as the land of the light and darkness. Licorice or also known as Lakkrís in Icelandic language. This is something that might not be suitable for everyone, some like it, some don’t. “Licorice (Glycyrrhiza glabra) has been used in food and as medicine for thousands of years. Also known as “sweet root,” licorice root contains a compound that is about 50 times sweeter than sugar. Licorice root has been used in both Eastern and Western medicine to treat a variety of illnesses ranging from the common cold to liver disease. It acts as a demulcent, a soothing, coating agent, and as an expectorant, meaning it helps get rid of phlegm. It is still used today for several conditions, although not all of its uses are supported by scientific evidence. ” . You will find this everywhere in Iceland in all forms (in candies, chocolates, tea, cakes, sometimes even in ice cream…), and most probably overwhelmed by it everywhere you go till the point that you might be obliged to make a purchase, but do not rush into it though! The locals love it and will proudly promote the product to you, however, it would be better to buy one packet and try it first, because most of the Asians (including myself), find that the taste is overwhelming, probably because weather differences in both countries. So besides visiting this beautiful and cold country for the picturesque scenery and beautiful glaciers, food culture is something that cannot be missed. In this post, we will tell you what are the other interesting food that you can buy that are special in Iceland to try/bring home as souvenirs, besides Lakkrís that is. HOTDOGS: You have to try the hotdogs! It is unique in Iceland because the hotdog is made from lamb meat. Lamb is a staple food in Iceland and it is said that they have the best lamb meat in the world. 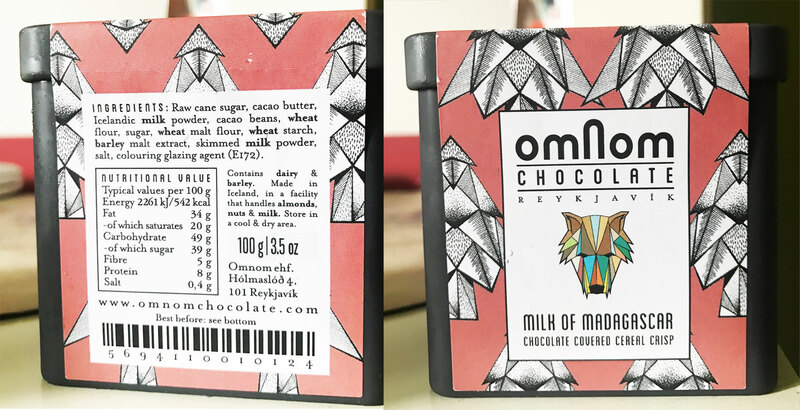 omNom chocolate,have the coolest packaging for chocolates! The best flavor I have tasted so far is the milk of madagascar – chocolate covered cereal crisp, it is so tasty that it melts in the mouth literally…. It is like the maltese chocolate from Iceland. A must try! You might think that it is alcoholic drink because of its packaging but it is actually non alcoholic and a very healthy! 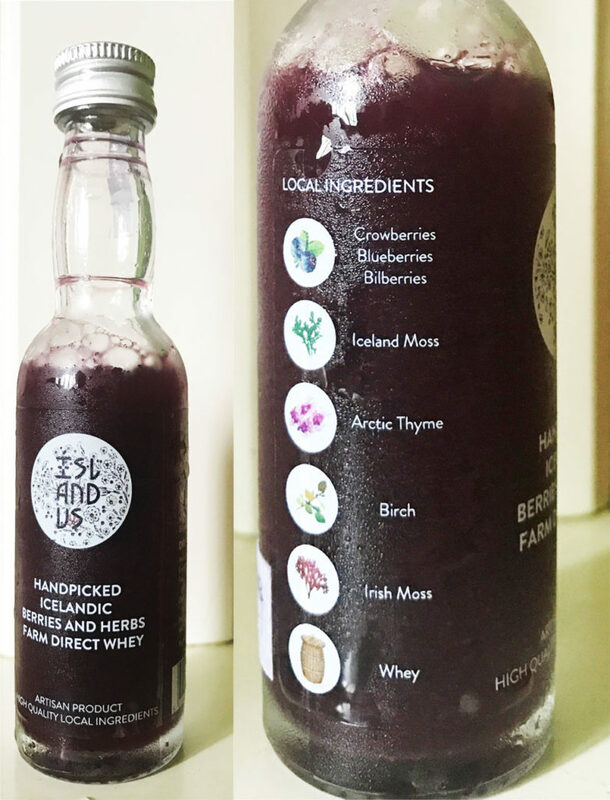 The local berry juice is made with hand picked berries and herbs, it tastes sweet and serves as a very refreshing drink on summer which is rich in vitamins and antioxidants. It is only available in Iceland!!! So make sure you buy the biggest bottle you can get and enjoy! This is a real crunchy snack and a must try for cheese lovers! 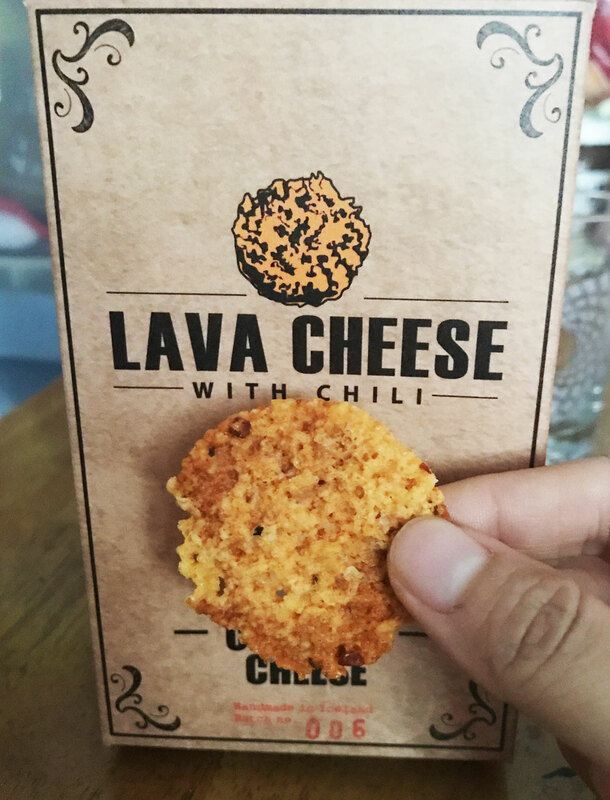 The description says -“Inspired by the rocky fields of Icelandic lava, lava cheese is made from local cheddar cheese that is dried and baked until it gets deliciously crunchy”. It’s a spot on, the chips are a little bit spicy and serves as a lovely snack to crunch on while on the way to your next adventure in Iceland. So if you are planning to go to Iceland, do try out the foods mentioned or if you have already tried them before, do leave us a comment on how did you like them our Facebook page @CrazyAdven2ras. Cheers to more adventure and more unique food in all parts of the world and keep on travelling! Remember to subscribe to our blog to get the latest updates of our post! Check out our Youtube channel for more fun videos and remember to also follow us on Facebook and Instagram @CrazyAdven2ras to know where we are or where we are going to on the next adventure! BE CRAZY! Stay Adventurous! ← Simplicity in a secluded paradise – What to do in Koh Yao Yai! Simplicity in a secluded paradise - What to do in Koh Yao Yai! Exploring East of France, Romantic Strasbourg in Alsace(Part 1/2)! We, Sherry and Norman, are 2 travel enthusiasts constantly looking forward to our next crazy adventure! We have found a better way to travel more and always travel off the beaten path. We know that you are looking for your next adventure / vacation, so we would like to share our ever amazing experience with you! Hope you will like it! Unique Experiences and the Must Dos in Bali! Colmar, the fairytale town in Alsace. Enter your email address to subscribe to this blog and receive notifications of new updates from us by email!!! Subscribe to CrazyAdven2ras for more Adventures!